It’s a Party on our block Monday April 15th! 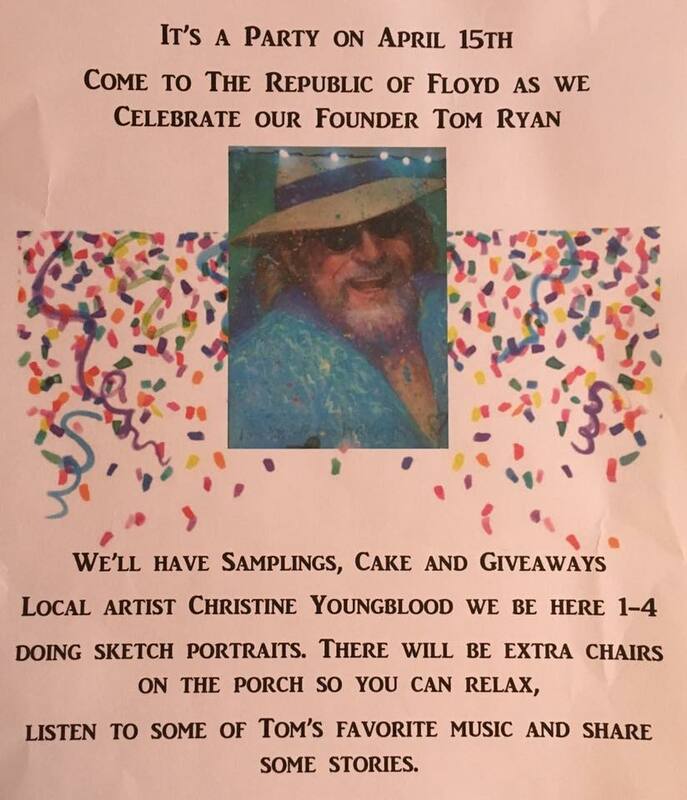 Join us as we celebrate the founder of the REPUBLIC OF FLOYD, Tom Ryan. The Republic of Floyd will have samples, give aways and extra chairs on the porch. Join us here at the Floyd New Mountain Mercantile throughout the day for sale items and a Meet the Artist reception with artist Linda Ewing from 5-6pm, wine and cheese will be served. Wear your Hawaiian shirts or buy one of our vintage Hawaiian shirts and join the party!